The ” CBD528 Recovery Program ” Helps People Withdraw from Drug Addictions. It Saves Lives by Preventing the Deadly Side Effects of Substance Abuse, Including Depression and Suicide. 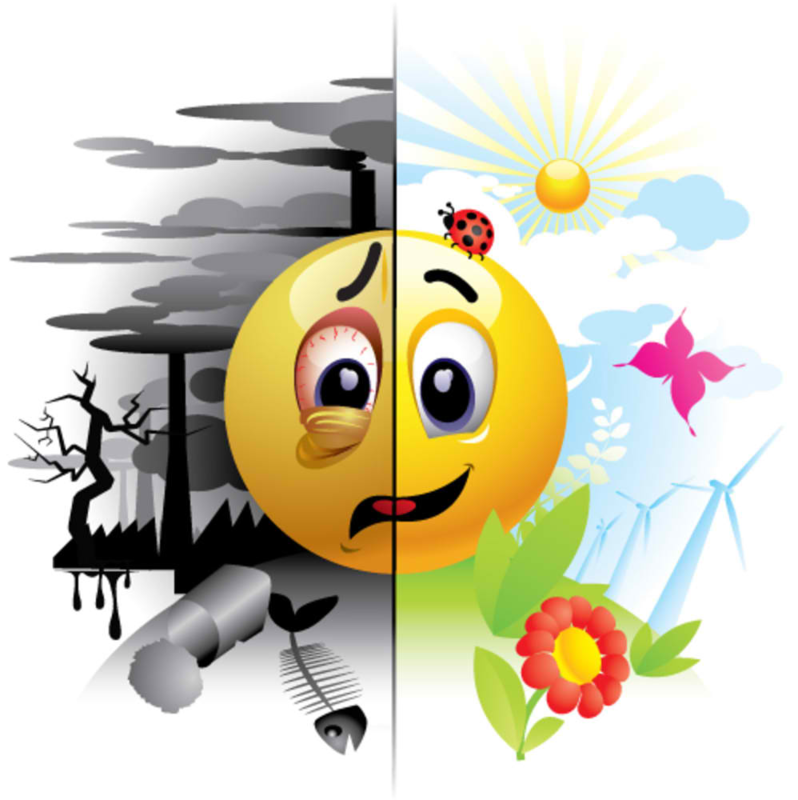 Toxic Addictions and Poisonous Pharmaceuticals be Gone! Here is “Homeo-alchemy” for Faster Recoveries and Health Enhancement. Award-winning public health author and filmmaker. Critics of medical marijuana, THC, CBD, other pain relievers such as deadly opioids and mood elevators, say that although people may gain benefits in the short term, long term coping with unresolved stresses, strains, aches and pains, psychological issues, and emotional patterns including depression require a supplemental program for mental health and emotional balance. 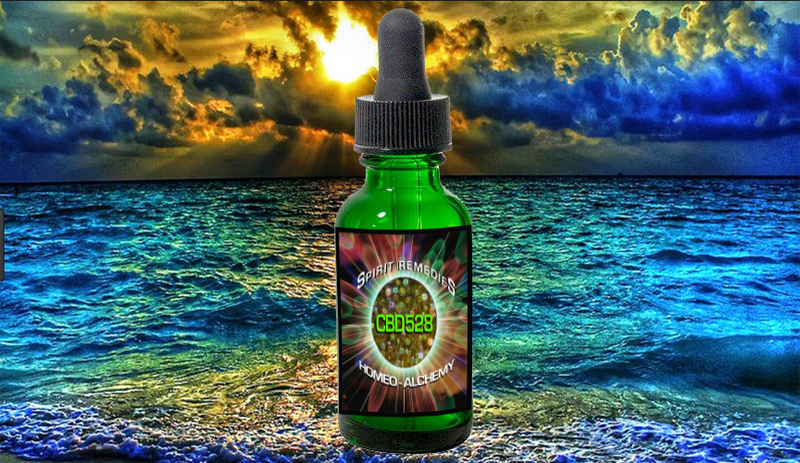 For this purpose, CBD528 is ideal since it provides a low cost, no risk, drug-free, natural way to gain help withdrawing from drug dependencies. INTRODUCING A NOVEL COMBINATION OF HOMEOPATHY, ANCIENT ALCHEMY, AND FLOWER REMEDIES THAT “TAKE THE EDGE OFF” OF WITHDRAWING FROM TOXIC ADDICTIONS AND DEADLY PAIN MEDICATIONS. In September, 2016 the U.S. Government and Justice Department officially recognized the urgency of the heroin and prescription opioid epidemic and its devastating social and economic impacts on law enforcement and public health. Annually, more than 60,000 people die of doctor-prescribed pain killers. Most victims get depressed and many kill themselves. Since these statistics became known, officials have increased efforts to hold doctors and opioid traffickers accountable for this urgency. Legislators and policy makers followed suit, recommending more and better treatment programs for those grappling with opioid addictions. To “ensure a brighter future for all Americans” officials requested help from everyone in affected communities to: (1) prevent new victims; (2) strengthen law enforcement efforts; and (3) provide treatment for addiction. 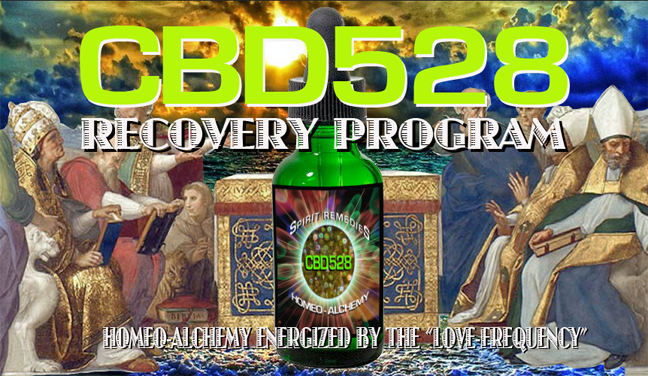 INTRODUCING CBD528, “HOMEO-ALCHEMY” REVOLUTIONIZING MEDICINE and SELF-HELP TO RECOVER FROM DANGEROUS DRUG ADDITIONS. As reported elsewhere, healthcare needs safer, more effective, and affordable products and self-help strategies to overcome powerful drug dependencies and mental and emotional patterns associated with damaging addictions. Drug addict cravings are based on physical, mental, emotional, social, and even “spiritual” challenges overwhelming positive attitudes that can be used to help manage pain, improve coping, prompt healing, and secure families and communities at risk. Self-love and self-care are both prompted by taking 3-to-6 drops of CBD528 orally (under the tongue) 3-to-6 times daily for 3-to-9 days; supplementing this prescription as needed without fear of toxic side effects. For this reason CBD528 is ideal for use as an alternative to deadly and depressing opioids and costly CBD products. In essence, CBD528 presents a cost-saving and effective answer for medical patients, recreational marijuana users, health product consumers, and doctors prescribing or seeking relief from deadly drugs, damaging addictions, and negative patterns of thinking and acting. Used properly, CBD528 can be relied upon to inexpensively and rapidly help reduce or eliminate the stresses and strains, aches and pains, and mental and emotional challenges facing people upon withdrawing from addictive and damaging drugs. CBD528 thus helps prompt the physical, mental, emotional, and social benefits sought by drug opponents and people seeking relief. 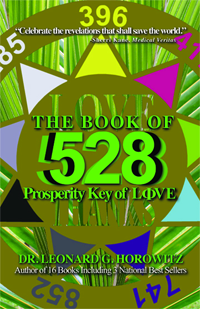 According to Dr. Horowitz’s research published in The Book of 528: Prosperity Key of LOVE, and his documentary film, the 528 Key Movie, the human heart is powerful and can be used very effectively to promote healing and positive lifestyle changes. Evidence from scientific studies encourage faithful prayer that generates the same frequency of energy (i.e., spirituality) at the heart of nature and sunshine. 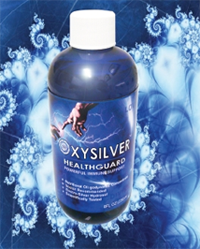 The heart of sunshine is also the heart of oxygenating rejuvenating chlorophyll in plants. That 528nm of light is the greenish-yellow color of plants, and according to Dr. Horowitz, that 528nm of light depends on 528Hz frequency of sound. That 528Hz frequency of sound is clearly harmonic with the sound made by the sun recorded by NASA, carpenter bees, and honey bees buzzing. (3) For these reasons, the use of “heart-felt loving intention in faithful prayer” to amplify the power of CBD528, and reinforce the benefits of its ingredients, is recommended by Dr. Horowitz. The doctor also encourages his patients to use positive affirmations and gratitude for life, healing, and producing the positive results they seek to achieve. (See: Cognitive Behavioral Therapy for Chronic Pain Management.) Prayer and positive affirmations can help recovering addicts relieve pain, reduce distress, and purge negative patterns of thinking, self-defeating emotions, and damaging social interactions keeping people depressed, dissatisfied in life, and in a recurring cycle of pain, depression and aggression. CBD528 is manufactured to hold and deliver strong electro-messages from Wild Rose, Gorse, Willow, Olive, CBD, silver, and the “Universal Remedy”–“Love/528 energy”–these positive messages are instantaneously broadcast throughout your body water. A drop under your tongue broadcasts these subtle, yet powerful, energies throughout your body and into every cell, since your cells contain receptors for these messages. Results vary among CBD528 users. Some people report feeling “different” within minutes of taking their first dose. The “difference” has been characterized as feeling “more relaxed,” “dissociated,” “removed from stress,” like a “quiet witness.” Some people compare that feeling or experience with the effects produced by meditation, or consuming kava. That natural product is also reported to relieve anxiety, restlessness, sleeplessness, muscle tension, and pain, without dulling mental sharpness. Most importantly, users will likely experience the “purging” of “issues” surrounding their addictions, including behavior patterns involving fear, depression, or dissatisfaction in life, by taking CBD528 with prayer. These issues are likely to become more apparent within hours or days of using CBD528 properly. These results are also great for diagnosis, needed treatments, natural purging, greater understanding, mental health, hastened physical healing, and forgiving the sources of discontent. These common results will likely impact and improve the quality of users’ social relationships, interactions, and communications. The user’s reliance on negative addictions will likely change also, along with their relationship with self, self-esteem, and social interactions others. Users are likely to let go of, forgive, forget, or better tolerate, their pains and damaging relationships, because CBD528 impacts issues surrounding self-esteem, self-concept, self-worth, self-mastery, personal success, and social interaction. What is the Cost of CBD528 and What is Our Guarantee? The cost of CBD528 is very little for what you get. CBD528 retails for only $24.90 per one (1) ounce bottle, and you will need only one bottle to effectively treat yourself for life. In fact, you will probably have enough to share with others, or simply store the bottle in a cool dry dark place, such as a medicine cabinet, or in the refrigerator, to use later to reinforce the positive results guaranteed. CBD528 comes with a full money back refund if you are dissatisfied with the results after having used CBD528 as directed. CBD528 can help people most inexpensively, safely, and effectively cope with the physical, mental, emotional, and social problems of withdrawal from addictive drugs, widespread among chronic pain, anxiety and depression patients, and most commonly associated with opioid addictions and other psychoactive drug side effects. The use of CBD528, as a novel supplement to medical marijuana prescriptions, or even for recreational drug users, produces positive results free from health risks and environmental poisonings. CBD528 uses the “Universal Remedy” of 528 frequency for natural (“bioenergy” or spiritual) coping and healing. This product can help a massive number of desperate, distressed, frightened, and indigent people withdraw from their costly and deadly drug habits and dependencies. CBD528 is also an ideal product to help people in need of relief from physical, mental, emotional, and social pains and illnesses involving psychological conflicts and distressing social patterns. For this reason, CBD528 is guaranteed to help improve users’ quality of life while promoting positive and productive relationships, better health, wellness, and a renewed joy and passion for life. CLICK HERE to Order CBD528 Now. Please direct your questions to info@healthyworld.com, or call 1-888-508-4787. NOTICE: This product, the aforementioned text, or any claim made therein, has not been reviewed or approved by the Food and Drug Administration (FDA); nor is it intended to diagnose or treat any “disease,” especially since the commonly held misconception of “disease” neglects the natural healing process by which distress and illness is part of the natural healing process. The FDA neglects this fact of nature, and as a regulatory agency commonly oversteps its legislative authority to harass, persecute, and prosecute law abiding merchants in the natural healing arts and sciences, and especially the nutritional supplements community. The federal organization aids-and-abets the illegal pharmaceutical monopoly over healthcare, imposed by bribery and “regulatory capture.” Such costly, illegal, and counter-productive FDA influence by Big Pharma is damaging to public health, the economy, fair trade, free competition, and is opposed by Dr. Leonard Horowitz, the co-formulator of CBD528. (1) Quoting from Welty et. al.’s review of the CBD literature in the treatment of neurological disorders, especially epilepsy : “Cannabidiol pharmacological effects are mediated through G protein coupled receptors, cannabinoid type I (CB1) and cannabinoid type II (CB2), which are highly expressed in the hippocampus and other parts of the central nervous system ( (2)). When activated, CB1 receptors inhibit synaptic transmission through action on voltage-gated calcium and potassium channels, which are known to modulate epileptiform and seizure activity ( (3). CB2 receptors are primarily expressed in the immune system and have limited expression in the central nervous system. The effects of CBD are CB2 receptor independent ( (3). (2) Most online blogging skeptics, it must be known, are financed by the “drug cartel.” (Click HERE to view Dr. Horowitz award-winning film, UN-VAXXED: A Docu-commentary for Robert De Niro, documenting how the “skeptics” (called “Trolls” on the Internet) are financed and administered. Skeptics are dispatched to protect Big Pharma’s “turf.” The skeptics protect a racketeering enterprise monopolizing healthcare. But at the same time, these skeptics aid-and-abet profitable “iatrogenocide”, that is, physician-induced commerce in the lucrative side effects of drugs and vaccines killing people, reducing “targeted” populations to reduce the risk of popular uprisings (called revolutions), and destroying the quality of the environment and the lives of people worldwide. 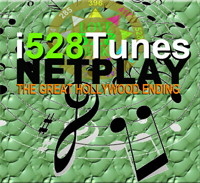 Many people have questioned the science proving 528 frequencies repair damaged DNA. 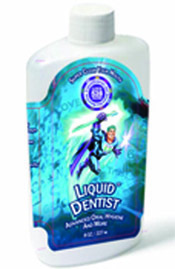 This claim was first brought to Dr. Horowitz’s attention in 1998 by Dr. Lee Lorenzen, an expert in nutritional biochemistry and water structuring. Later, investigators Pollack and Niggli reported that nucleic acids DNA and RNA absorbed light in a very narrow range of wavelengths. That is, from 260-265 nanometers. Dr. Horowitz’s research indicates the immediate lower octave of C=528 is C=264 on the piano; and hat light follows sound. He explains that both light and sound follow the laws of physics that demonstrate “coherence” with harmonics and mathematical “octaves.” From this knowledge Horowitz theorizes that Pollack’s and Niggli’s reports corroborate Lorenzen’s and Horowitz’s claims that 528 frequencies of sound and light “rejuvenate” dehydrated or damaged DNA, since the wavelength 264nm is precisely in that very narrow “lower octave” range of wavelengths absorbed by nucleic acids. (See:Pollack. G. (2013). The Fourth Phase of Water: Beyond Solid, Liquid and Vapor, Ebner & Sons, p. 87; and Niggli, H. Biophotons: Ultraweak light impulses regulate life processes in aging. Gerontology and Geriatric Research 2014 3:2); cited in Pangman MJ and Evans M. Dancing with Water (2nd edition): Uplifting Press, 2017, pp. 84-85. NASA science has also photographed frozen water crystals abundant in deep space, consistent with the Book of Genesis (1:1-2), wherein sound generated by the Creator’s “spoken” “word” to water generated the sun and light spectrum. USER 1: ANN. My boyfriend, Doug, and I took CBD528 and we both felt a calming effect. That night Doug slept like a baby, which is very unusual. He had not slept well at all for months. Then the next night he did not sleep well again, after taking 3 drops during the day. . . . The product doesn’t seem to be working. Should we increase the dosage? Yes. I would up the dosage to 3-6 drops three (3) times daily for 6 to 9 days. That is what is prescribed on the website. You and Doug should carefully read the website that details what is in CBD528, why it is in there, and what Doug should be affirming with heartfelt loving intention in prayer as he takes the product. The website is at: http://www.528revolution.com/cbd528/. Doug’s first night experience is similar to mine. The first time I tried it I felt the effects physically. It felt like a “relaxation response,” or a “Kava high.” I only used 3 drops that first day. The website also recommends that the product will last a long time, and that kept in the fridge (and darkness) can remain powerful to be used again later—any time “issues” related to fear, depression (lack of joy) and challenges to positive thinking, prosperity, and success consciousness, arise. It would be beneficial for Doug to keep a journal, just like good therapists recommend for clients. That will help Doug progress in his life mastery. USER 2: GLORIA. I am VERY dissappointed in this what you called CBD……I have gotten NO RESPONSE from it what so ever, and I am almost done with both bottles…. We are going to refund all the money you paid, since you did not gain any benefits from using CBD528. Frankly, however, you could not have used the product properly—according to the recommended 3-6 drops, 1-to-3 times daily for 6-to-9 days. We can make this assumption because if you had used the product this way, you would still have months of product remaining in one bottle alone. It does not appear that you read the entire website description of CBD528, nor it’s clear recommendations for proper usage, that includes using the product with prayer, self-reflection, and positive affirmations for healing and behavior change. The behavior change component is most important, since it is the PATTERNS of negative thinking and acting that damage people, and this is largely what CBD528 is designed to remedy. You may have simply mistaken CBD528 as a drug, and ordered it expecting to “feel” the chemical effects of the CBD on your nervous system. It does not work this way. The effects of taking CBD528 vary from subtle to profound, and these effects are mediated “spiritually” (i.e., energetically) and not “chemically” (i.e., pharmaceutically). Regardless, we are refunding your entire purchase price (including shipping and handling), and wish you well. Within 12 hours of my first dose, I felt a lifting of my grieving spirit. Last summer, the love of my life, my soul mate, transitioned after 30 years together. I found myself floundering and had to force myself to get out and LIVE. After taking CBD 528, I felt like re-joining the world of the living. Still grieving of course, but more hopeful and able to feel joy again. A side note: I had been experiencing some lower back pain and have been doing exercises to alleviate it, but the CBD528 helped move that pain to an almost negligible level within 24 hours. Thank you so much. I am recommending this product to everyone. God bless you!